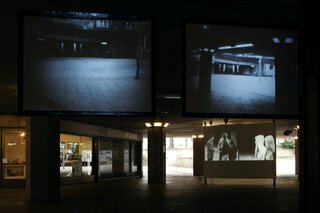 In and Out of the Underworld was commissioned by European Kunsthalle, Cologne, the work was created from an event involving different groups of people that were living or working in the area and took place in and around Ebertplatz underpass on 18th April 2009. 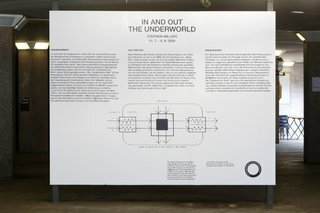 The installation, In and Out of the Underworld was conceived as a journey through the concrete island of Ebertplatz, presenting time sequenced fragments of encoded information generated by this past event and the behaviours that occur there. 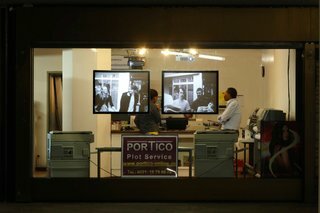 Films, sound and a photographic installation are presented on display screens in the underpass, in the shops and offices, and around the entrance ways. The films are of a group of people who constantly change their identity and their relationship with other individuals within the group, they are always seen in pairs, two people being seen as the basic unit of any network, or any society. 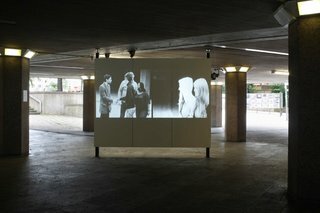 On entering the underpass, the pairs meet two other people in the central zone and various meetings take place, these meetings constantly change in form and expression, leaving the viewer free to project their own understanding of what is happening. The constantly changing flow of the people as they move through Ebertplatz, the random encounters made, mirrors the transient experience of other people in our daily lives, and our processes of instant imposition of a recognisable certainty that is then instantly forgotten. 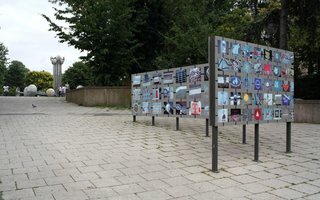 At the entrances to the underpass display boards presented a photographic mosaic of the traces of other people contrasting with the regulated world of institutional signs from within the underpass.